Pole mount, integrated hanging points and optional rigging hardware for deployment as a stage lip, and under balcony distributed system or in a variety of support configurations. The two-way e-351 Nano Speaker redefines small loudspeaker capabilities by producing high output exceptionally high-quality sound form a very compact aluminum die-cast weather and corrosion resistant system. With reference quality flat response from 130 Hz to well above what the most discerning humans can hear, the e-352 is capable of output levels of systems typically twice the size. The e-351 utilizes applying state-of-the-art materials and technology to achieve audiophile quality at professional sound pressure levels. State-of-the-art 3.5-inch co-axial cone transducer achieves high output by combining a very powerful Neodymium magnetic circuit for efficiency with high-temperature voice coils and physical optimization of the magnet assembly for maximum heat dissipation to the aluminum enclosure. Coaxially mounted through the pole piece of the driver is a unique beryllium 25 mm compression tweeter with Neodymium magnetic assembly for low distortion extend high-frequency response. The passive crossover is precisely mated to the specialized DSP in the VUEDrive V242 Systems Engine to maximize response accuracy while providing maximum power and transducer protection. The die-cast aluminum enclosure provides considerable rigidity for resonance-free operation as compared with other compact systems with plastic enclosures. 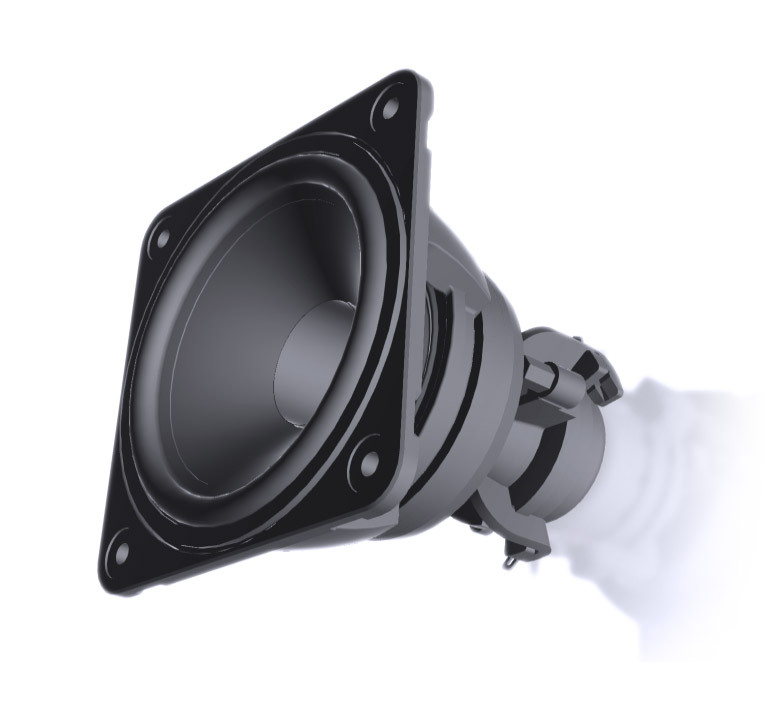 The aluminum baffle features an integrated high-frequency waveguide and very low diffraction to ensure the full high-frequency clarity of the beryllium dome hf driver is not compromised. The Aluminum enclosure’s ability to withstand corrosion and moisture damage also makes the e-352 well suited for use outdoors and in harsh weather applications.